IsoFiber™ (Iso-Malto-Oligosaccharides) — Contains a combination of naturally occurring prebiotic plant fibers that are clinically shown to improve the growth of specific probiotic strains featured in Kids FundaMentals™ and now MentaBiotics™ Sugar Free! 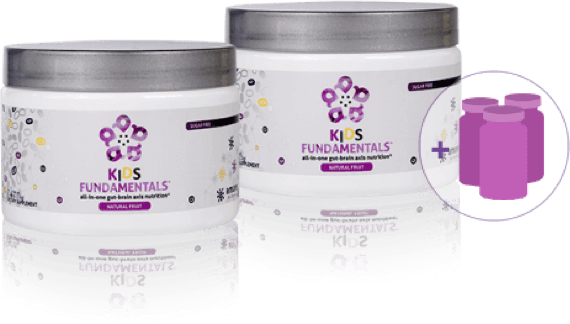 We've formulated Kids FundaMentals with the science behind the gut-brain axis (GBX) in mind. 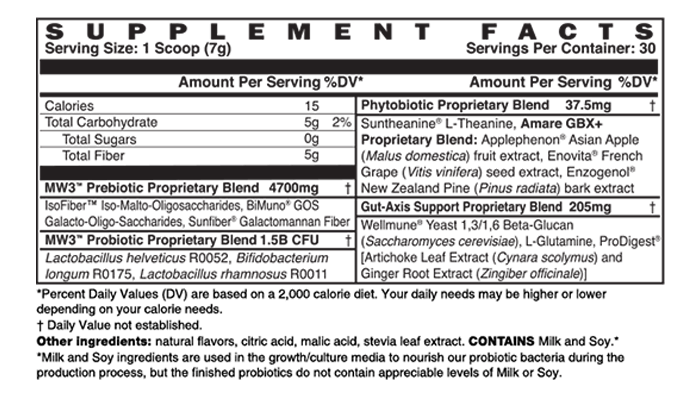 This formula includes specific blends to help create a healthy GBX for children and teens as they mature and develop. Perfect for kids and teens of all ages! Bundle & Save This Pack! Enjoy more Amare products with greater savings and discounts by bundling your favorite pack with up to three additional products at reduced prices of up to 50% off! 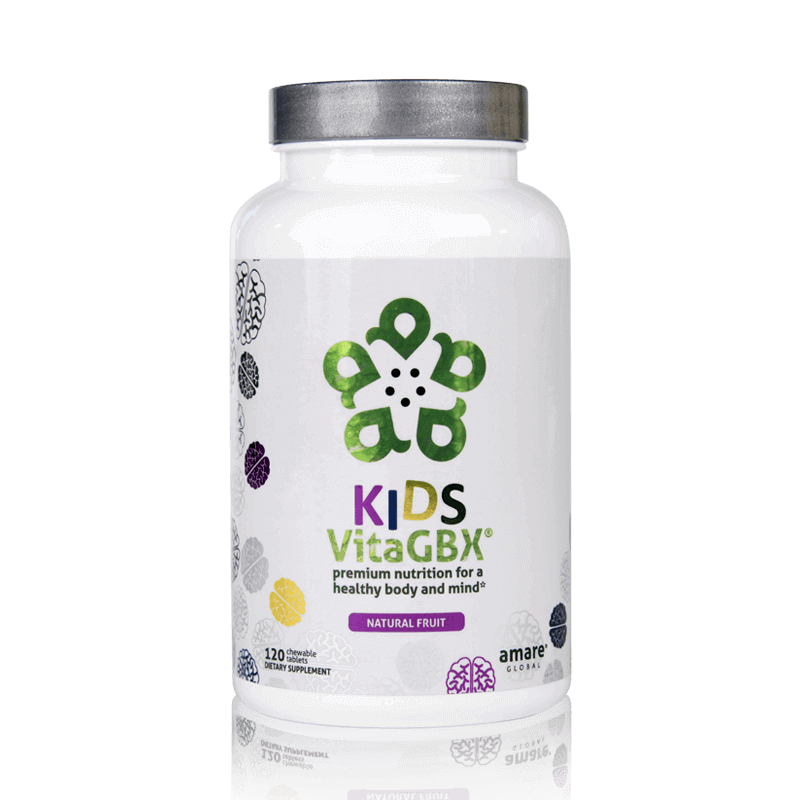 Try our NEW Kids VitaGBX! Enjoy more Amare products with greater savings and discounts by bundling your favorite pack with up to three additional products at a reduced price of up to 54% off! Directions: Mix 1 scoop in the morning with 2-8 oz. of water, milk, fruit juice, smoothie, yogurt, or other foods or liquids. Do not expose to boiling or scalding temperatures.